Bitcoin continues to open doors for companies around the world as a convenient currency and a movement towards innovation and decentralization. 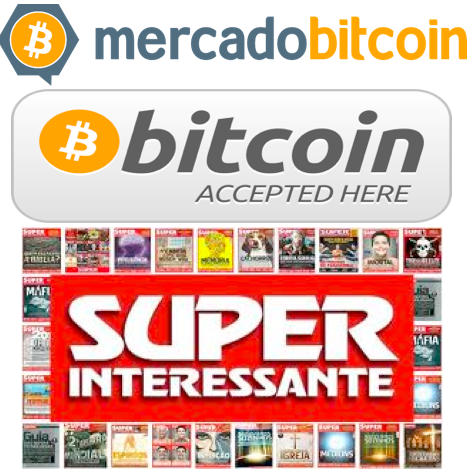 Just this week, Brazilian lead magazine, SUPER, implemented a Bitcoin paywall through Brazilian Bitcoin exchange, Mercado Bitcoin. SUPER will utilize a Bitcoin paywall for premium content including English translations of articles including and not limited to texts also published by The New York Times and The Economist. Just this past fall, BitMonet began accepting payment in Bitcoin for paywalls through integration with BitPay Inc.
Brazilian magazine SUPER (http://en.wikipedia.org/wiki/Superinteressante), has just printed its second article covering Bitcoins to celebrate Satoshi’s paper creating the Bitcoin. The magazine is published by Editora Abril (http://www.grupoabril.com.br/IN/institucional/perfil-in.shtml), arguably one of the largest and most influential communications companies in Latin America. However, this second report comes with a innovative initiative: the editors decided to test how Bitcoin works in the real world and implemented a Bitcoin paywall, brand-new tool developed by Mercado Bitcoin, the Brazilian bitcoin exchange. As a result, SUPER´s customers and people from anywhere in the world will be allowed to buy some of their issues and pay with Bitcoins. Behind the paywall, a system that prevents Internet users from accessing webpage content without a paying a fee, the magazine is publishing an English version of the article “Why is everything so expensive in Brazil?”, which is one of their most read articles ever and source of texts published by The New York Times in July and The Economist in September. Some other Portuguese language articles are also available. 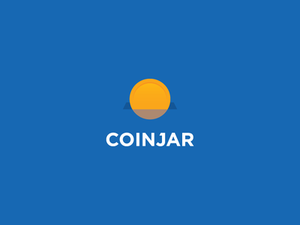 Bitcoin micropayments have already been discussed for quite some time and such initiative from a renowned company is certainly very helpful to make it really happen. It is probably the first time that a major global publisher of traditional media will be dealing with Bitcoins this way and it certainly is a major achievement for SUPER, for the Bitcoin community and for MercadoBitcoin.com.br. Bitcoin Magazine had an opportunity to interview Rodrigo Batista, Mercado Bitcoin’s CEO. Rodrigo Batista: The first time I read about it was when the SUPER Brazilian magazine had its first article about Bitcoin published. At the same time the company I was working at (Morgan Stanley Brazil) had an intern that was involved in Bitcoin mining. So we had some chats about it and then I started following the market, but it was the time of the 2011 bubble, so I did not pay too much attention. RB: At the time I did not give too much importance to it because the 2011 bubble happened when I was studying. In 2012 I got back to it and its resilience impressed me a lot. So I decided to study it more and found it very powerful and useful. The internet needs its own type of money and I think that bitcoin is very likely to be it. People need a frictionless way to do small payments to other people offshore and the big majority of us in developing countries don’t even have international credit cards. 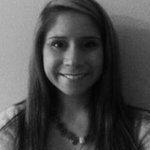 BM: When did you first get the idea for your organization/site/services and what inspired you to create the site? RB: In 2012 I decided to run a Bitcoin exchange, but it was tough to find a programmer and try to explain the business. I used to be a programmer but I’m not good enough. In Jan 2013, I started conversations to become partner of the local Brazilian Exchange, Mercado Bitcoin. In May, I became an investor and CEO of the website. BM: Were there any pre-existing businesses that inspired you to create your organization/site/services? RB: Mt.Gox at the beginning. Now we are checking with BitPay and BitWall businesses as other payment processors are doing. BM: Where do you see your organization/site/services going in a year? RB: We are already the biggest Bitcoin company in Latin America, but that does not mean too much because the market in Brazil and in the rest of the region is still very small. We want to develop the best products and make the market in the region grow. To meet those expectations we have an aggressive plan of marketing and new product launches. RB: We almost don’t have completion in Brazil. That give us time to think and create the best products and have some profit. Also, our products are made taking the local needs into account, like currency, language, laws, etc. We try to do what other business are already doing in Europe, Asia and US, and improve their products. BM: What are your suggestions for individuals hoping to use Bitcoin in a business like yours? RB: People need to get educated about bitcoin. Most of them don’t understand what it is, but they start putting their money on the table anyway. That is very risky. Unfortunately we still have a long way to get to the point where people will use bitcoin without even bother[ing] about what is going on behind the scenes.